PADA TANGGAL HARI SELASA TGL 13 JANUARI 2015, KAKESDAM IM MEMIMPIN UPACARA KORP RAPORT PELEPASAN PERWIRA, BINTARA, TAMTAMA DAN PNS KE KESATUAN BARU AN. 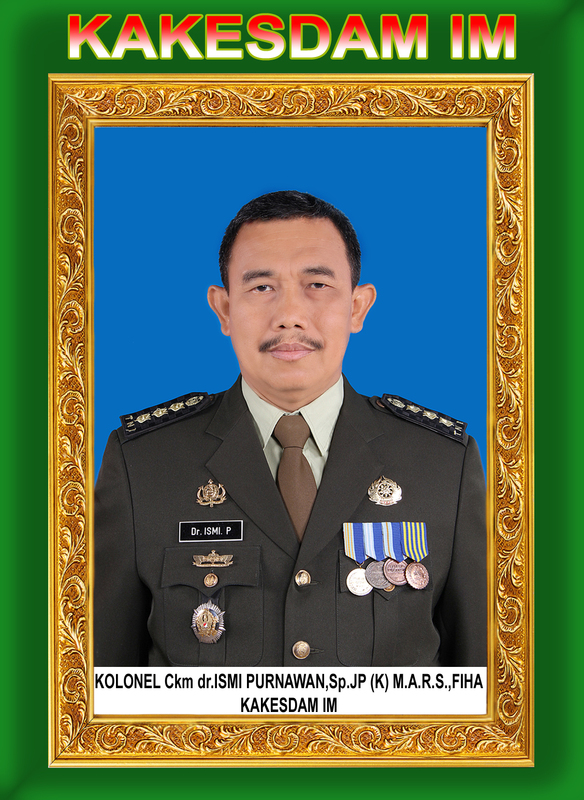 MAYOR CKM dr. IMMANUEL PURBA Sp. THT cs 7 ORANG LAINNYA. UPACARA DILAKSANAKAN DI MAKESDAM IM, TURUT HADIR PADA ACARA TERSEBUT YAITU : KOLONEL CKM dr. ISPRIJADI. Sp.OG (KA RUMKIT TK II IM), KOLONEL CKM dr. SUTAN BANGUN. Sp. B (KETUA KOMITE MEDIK RUMKIT TK II IM), LETKOL CKM AGUS SANTOSO (DANDEN KESLAP KESDAM IM), LETKOL CKM dr. IKHSAN NASUTION (DANDENKESYAH 04.01) LHOK SEUMAWE, LETKOL CKM NOVIS ANTONI (DANDEN KESYAH 04.02 IM) MEULABOH, PARA PEJABAT KESDAM DAN RUMKIT TK II LAINNYA.